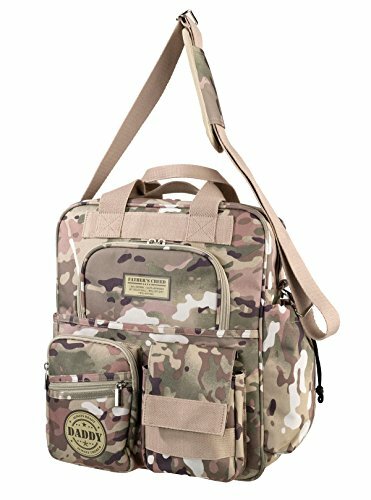 Lillian Rose 14.5"x11.5" Tan & Green Military Camouflage Daddy Diaper Bag. 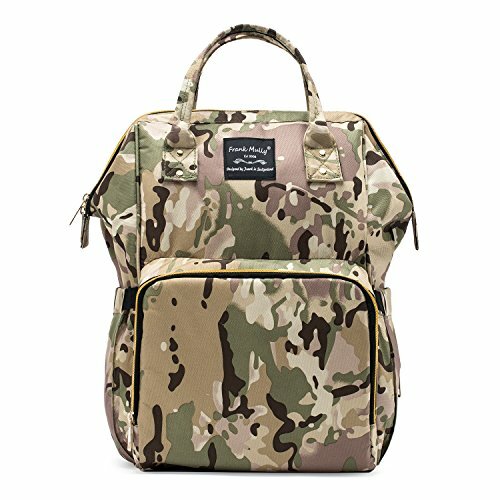 Designed with Dad in mind, this cotton/polyester diaper bag is covered in modern camouflage. Zippers are used to secure the pockets of this bag, which is designed to be carried comfortably over the shoulder. One side pocket is designed for a baby bottle (bottle not included). The bag measures 14.5" x 11.5". One lower pocket is accented with a round logo that reads "DADDY, Always Ready, Always There." A rectangular logo near the top of the bag reads "FATHER'S CREED: I am a father. I have answered my child's call. I will not quit. I will not fail." The stylish diaper tote bag is big enough for everything you and your baby need it is just the perfect fit. You will love the simple aesthetic design to this bag, its inexpensive and it looks great. 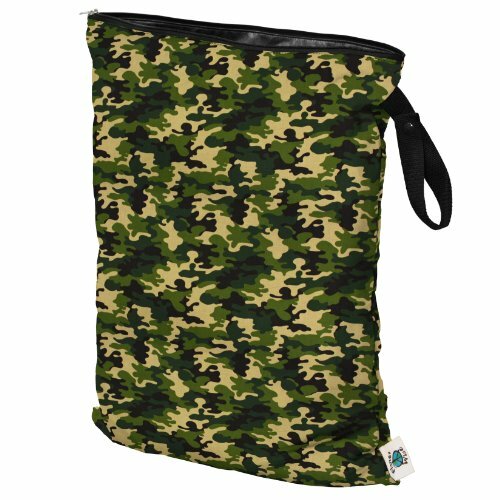 There is a lot of pockets inside and outside to stay organized and comes with a portable changing pad which is great size ,easy to clean and comfortable for baby.This bag made of very strong waterproof polyester with stylish camouflage pattern.it does not even look like a childish diaper bag until you look inside. Left side pocket is good for flask or bottle, the right side pocket with tissue zipper open. On the frond of the bag with 4 pockets, you got enough space to put anything you want such as mobile phone,keys,wallet,cards,etc. The bag with 2 stroller straps, a removable cross body strap.Inside with 3 insulated feeding bottle pockets. Our 100% Satifaction Guarantee - SoHo offer LIFETIME WARRANTY of your purchase, if there is any issues, Please contact Us for our Service. Terms & condition apply. 1. Inspired and designed by our Famous French Designer Kenneth Leroy. 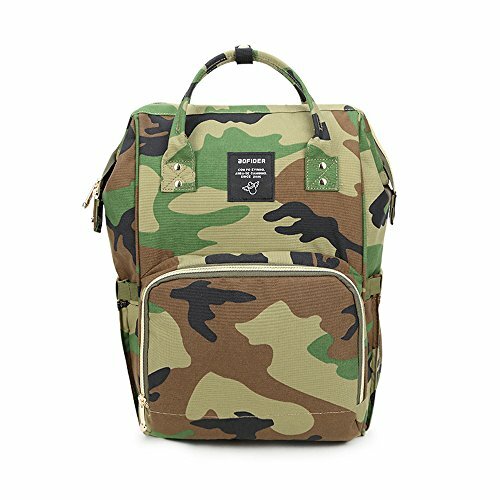 This streamlined backpack offers detail construction and true hands-free convenience & functionality. Perfect for Both Mom and Dad on the go. 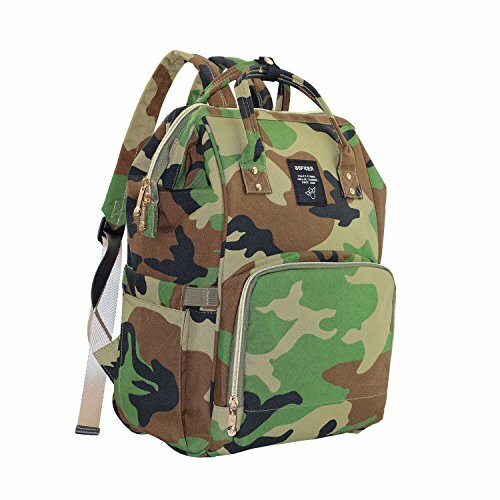 2.This structured Back pack spacious interiors are accentuated with a mouth that opens wide to see all your contents clearly.with multipe pockets ,Reliable zip-top closure with Adjustable, padded straps , This bag have total of 15 pockets interior & exterior pockets for your organization. 3.This can also Hangs neatly on a baby stroller with the included pairs of stroller straps. 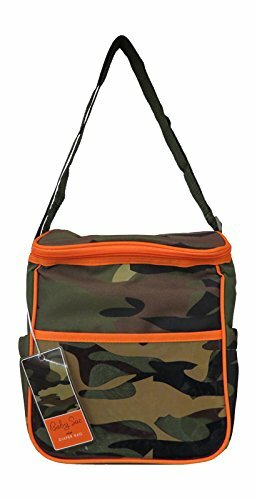 4.In Addition It also come with our nice cushioned changing pad, our Compact Diaper bag Dispenser with 30 counts of refillable plastic bags which can conveniently clips to the main diaper bag for busy mom. 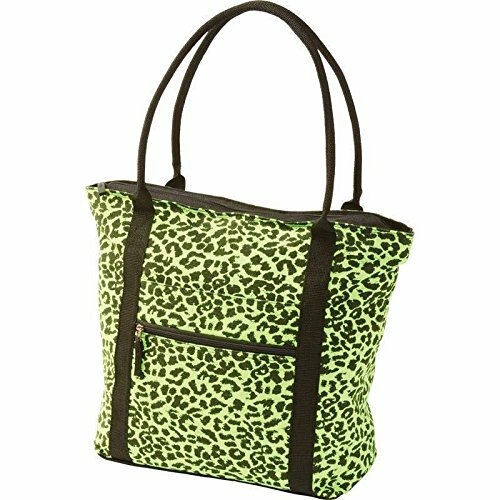 Extreme Pak NeonGreen LeopardPrint Shopping Tote BagFeatures cotton canvas construction; heavydutyshoulder straps; zippered closure; and multipleexterior and interior pockets. Measures 18" x 15" x 7". 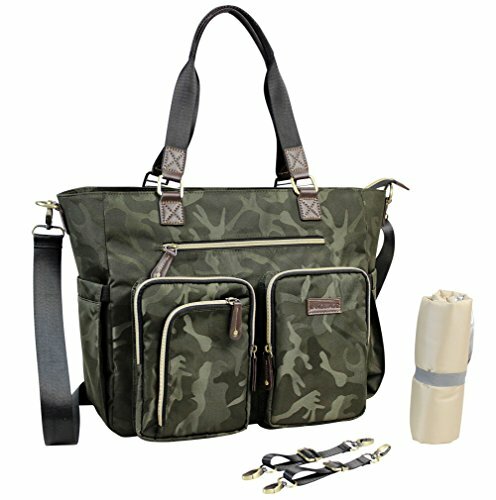 Features:Cotton Canvas ConstructionHeavyDuty Shoulder StrapsZippered ClosureMultiple Exterior & Interior PocketsMeasures 18" x 15" x 7"
Whats in my Diaper Bag | Stella & Dot Daytripper!